Death toll in Brazilian dam collapse rises to 58. 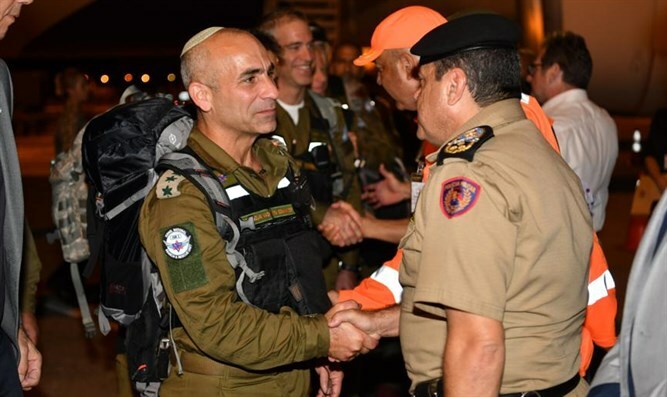 IDF delegation arrives in Brazil to assist with search and rescue efforts. On Friday, a dam in Minas Gerais in southeastern Brazil collapsed, causing a catastrophic flood in Brumadinho. Authorities now say that 58 bodies have been recovered, with 305 people still listed as missing, including 260 employees of the Vale mining company which operated the dam. Early Monday morning, an Israeli army spokesperson announced that an IDF delegation had arrived in Brazil to aid with the rescue efforts. “Overnight, the IDF aid delegation to assist in the area of the collapsed dam landed in Brazil.